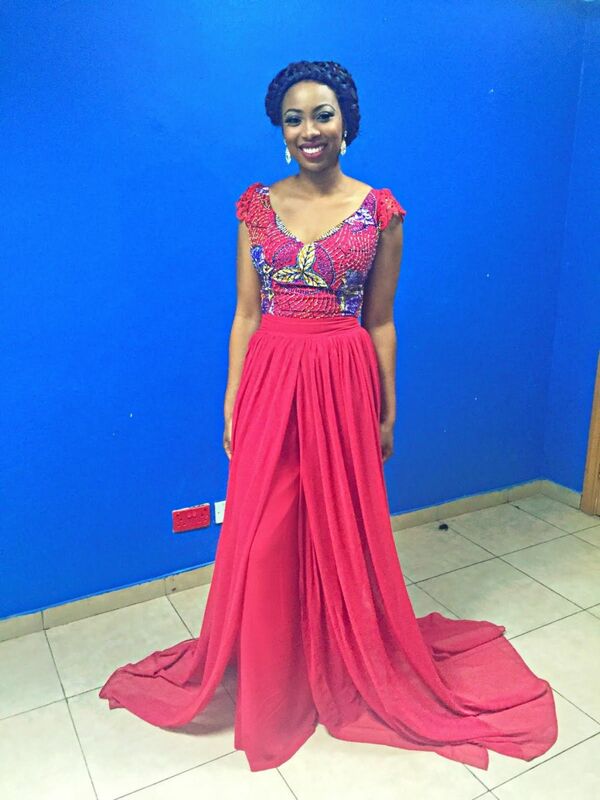 Bolanle Olukanni is a Pretty African Princess in Moofa Designs! 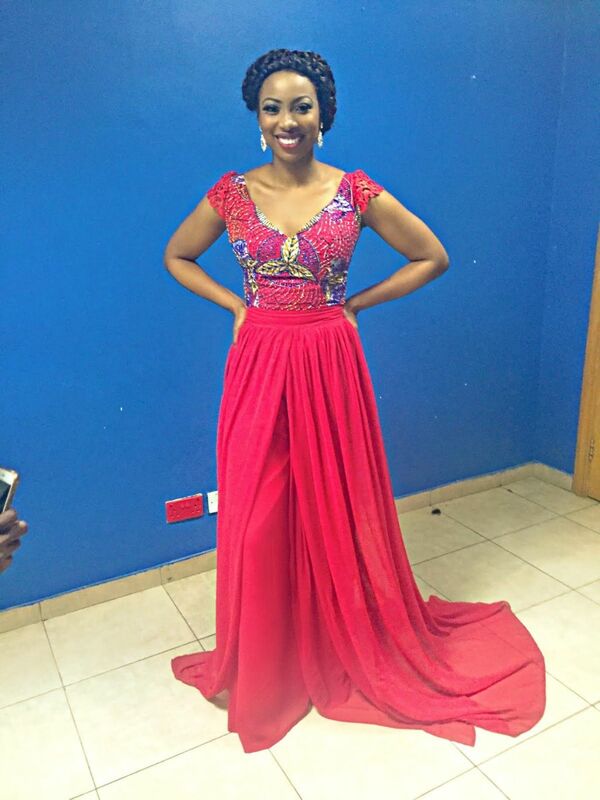 TV presenter Bolanle Olukanni has become such a style star! 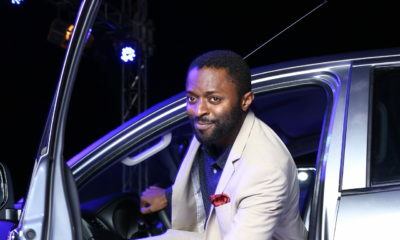 As the host of this year’s Project Fame West Africa alongside the handsome Joseph Benjamin, she has been dishing out hot looks in Nigerian designs. 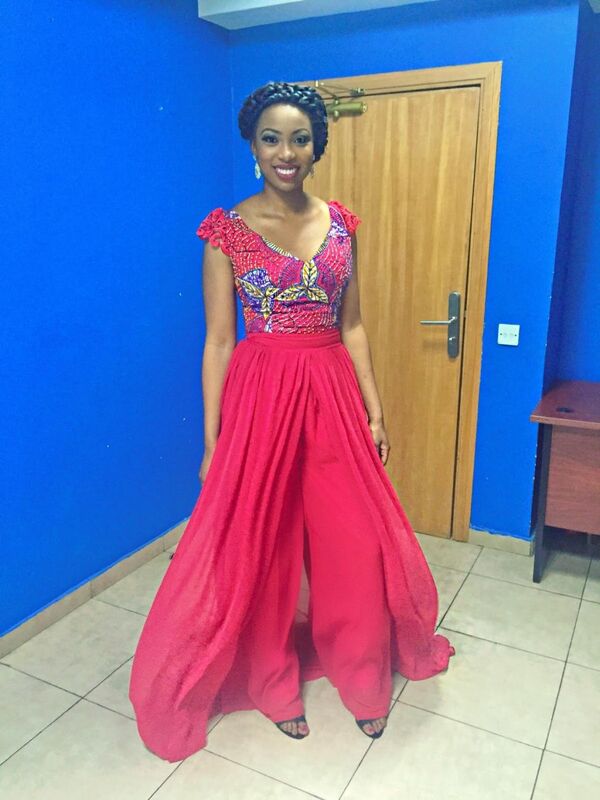 For Sunday’s fab, her stylist, Jane Michael brought out Bolanle’s inner African princess with a stunning Moofa Designs dress. The red outfit featured an embellished ankara top with baby doll sleeves, and a long draping bottom that swept in the floor. Just like royalty. Her makeup, created by Beauty by Queen was simple and pretty with a bold red lip to match her dress, and sultry eyes. Bolanle completed her look with a crown (of course). 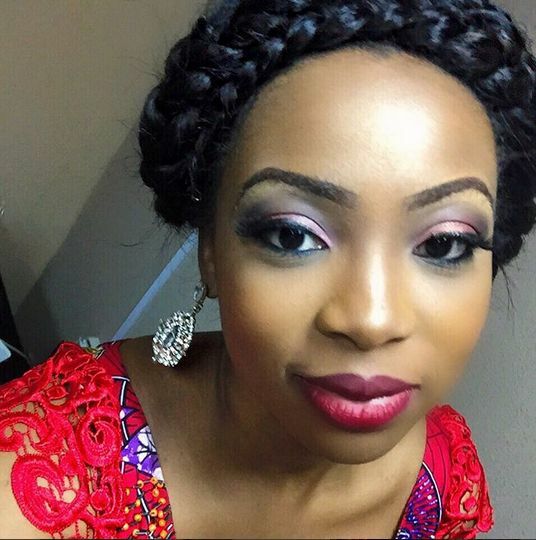 Her braided crown was created by hairstylist, Adenike Alegbe, and looks absolutely lovely. Love her look? We do! Badly done eye shadow looks rough and done in rush! Bolanle is still an angel though! Love her personality! Basic and contrived sentences irritate the hell out of me. 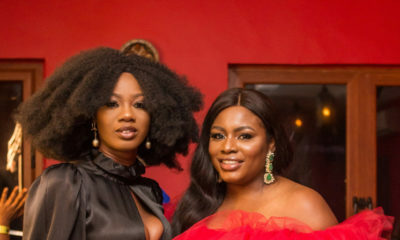 For example, ” Jane Michael brought out Bolanle’s inner African princess with a stunning Moofa Designs dress.” and ,”Bolanle completed her look with a crown (of course).”…eeeek! Bn y’all can like to chill with the forcing Bolanle in our face thing. 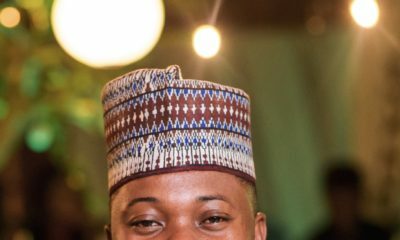 There’s nothing special in this look biko so why is it news? You people are steady turning her to a Toke oh. I just want to know about these long trains. It looks nice in a picture but do they lift it or let it drag on the floor as they walk? Always wondered.